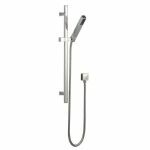 For a showering solution that makes sense for the whole family and a perfect accompaniment for any enclosure choose a shower rail kit. 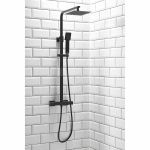 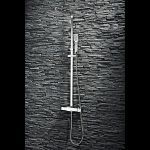 We have Victorian designs with a curved shower rail and slimline shower heads for modern bathrooms. 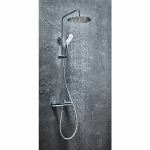 Relax under a rain shower head and drain the worry's of the day away. 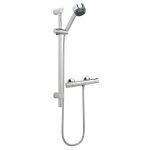 With many of our rigid riser models you can also detach the handset from the cradle and relieve muscle tension directly with a powerful stream of water. 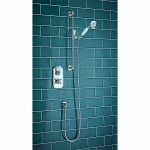 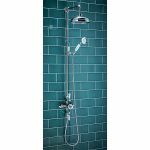 The sliding function of our simple shower kits is great for those both tall and small, adjust the height of the shower at your convenience and detach as required. 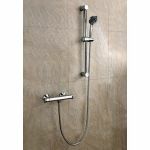 Many of our rigid shower riser rail and slider kits include a matching shower valve most of them with a built in anti-scald device for safety. 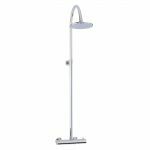 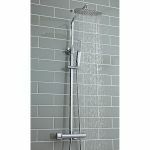 A bar valve generally only supplies water to one accessory but some of our fixed shower rails include a built in diverter giving you the choice over the water source and showering experience. 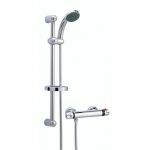 Extend the look throughout your bathroom with our coordinating taps and accessories.